Drones and Honeycombs is a long-term research project. It investigates the impact of the contemporary warfare and the global security regime on our living environments and on our cities. In the past decades, and increasingly after 9/11, the frontline of war moved to the city. What does it mean for the city, for architecture and for our role as designers? The Netherlands is famous for its professional design practice, both small- and large-scale. It is also known for its humanitarian missions and investments in development projects around the world. There used to be a clear distinction between war zones and the peaceful civilian world. That distinction seems to have dissolved: war has become part of the public space. The work focuses on the extent to which the military apparatus affects society and how it engages with architecture and urban planning. Architecture and the built environment have always been developed to provide a sense of safety, community, and privacy, and to allow cultural, social and economic exchange. 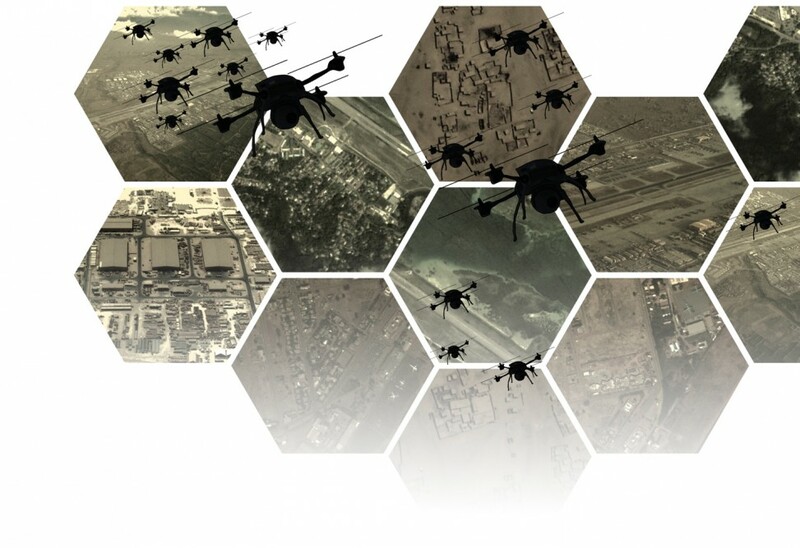 New innovation in the field of war and the unmanned machines, such as drones technology, have a large impact on the way we relate to our surroundings. Surveillance regimes can lead to a loss of privacy, safety and possibilities for civil engagement. These technologies also offer new possibilities for comfort and efficiency. This project aims to research these transitions and look for ways to stimulate design interventions and opportunities to improve people’s livelihood.The research extrapolates through case studies speculations on how smart technologies and militarisations of the civic space lead to the emergence of new spatial configurations. It seeks to understand and make visible the transitions our living environments, our cities and our homes are facing due to the changing conditions of war and warfare. It challenges the design community to engage with the search for alternative designs to preserve civic values, such as privacy, both in the domestic and in the public space.